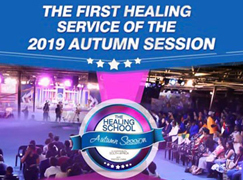 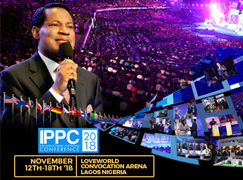 Pastor Chris explained the message of the month, using the account of Jacob and Caleb in the scriptures, as he pointed to the faith with which they possessed the lands promised by God. 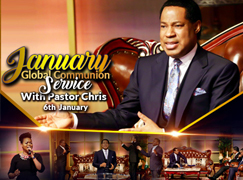 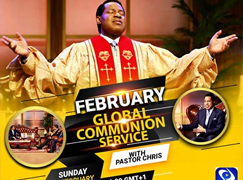 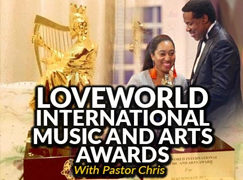 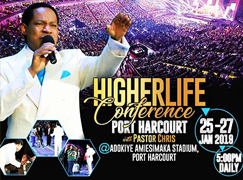 “This month is the month of possessing your possessions,” Pastor Chris says to global audience. 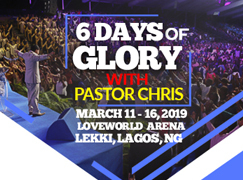 The President went on to establish the principles for possessing your possession as seen in 2 Corinthians 4:17-18, encouraging the brethren to fix their eyes on spiritual materiality. 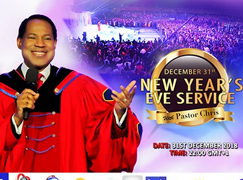 Pastor Chris went on to admonish the congregation to trust in the Lord Jesus. 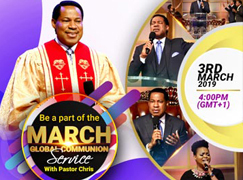 “The invisible things of God control the world,” the man of God said, reminding the brethren to give only those things their concentration.